Our Back In Motion practices are active in their local communities. The SOS Health Foundation is the charity of choice for Back In Motion Health Group. Jason Smith, founder of Back In Motion, saw that Australians living below the poverty line in both major cities and remote areas were missing out on vital access to physiotherapy and related services. As a result he created the SOS Health Foundation which mobilises physiotherapists and other volunteers allowing them to provide support to those who would normally not be able to afford it. Learn more about the work of the SOS Health Foundation and how Back In Motion provides support. Giving back to the local community is important to us. Like Daniel, from Back In Motion Bankstown (pictured right), your local physios can provide your workplace, school, sporting club or community group with information sessions and more. Contact your nearest location to learn more. Your local Back In Motion practice can provide a range of physiotherapy support services to your sporting club. This might include assistance on game days and at training, educational events for club members, discounts and more. Learn how your sports club can partner with your local Back In Motion practice. Like sporting clubs, your local practice can work with your primary school or high school by educating parents, teachers and students on everything from good health, staying active through sport and physical activity as well as the growing problems of posture and the development of good, strong backs. Learn more about our Physiotherapy in Schools Program including all you need to know about buying and fitting your child's backpack. 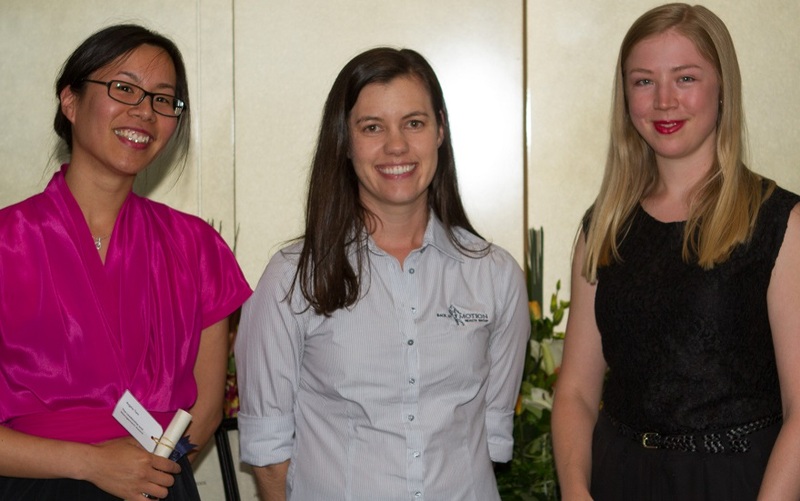 Back In Motion Achievement Prize - awarded to a fourth year physiotherapy student at La Trobe University. Back In Motion Leadership and Management Award - awarded to a graduating physiotherapy student at the University of Melbourne. Back In Motion Health Group proudly sponsored 2015 Beat Cancer Tour. Believed to be the first of its kind, the Beat Cancer Tour is the only official pro rider experience, providing an opportunity for serious cyclists to have a once-in-a-lifetime experience to live like a pro-tour rider during the Santos Tour Down Under in January. The 2015 Beat Cancer Tour saw 30 strong cyclists ride every stage of the Santos Tour Down Under ahead of the professionals. 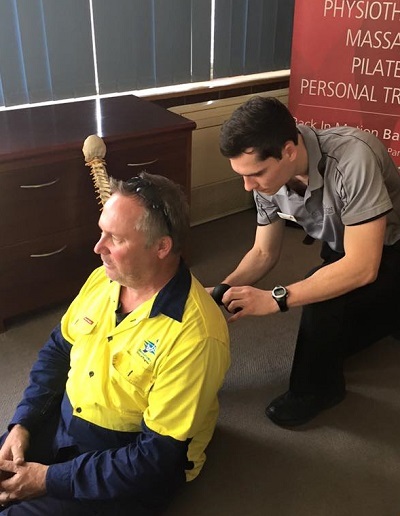 Back In Motion was pleased to make available 40 physiotherapists from our South Australian practices who will provide recovery services to the Beat Cancer Tour team over five days. All proceeds fund vital cancer research through Cancer Council's Beat Cancer Project.